Money in da Ride !! So just wondering guys, how much money have you spent on your ride not including the value you bought your car at. Please list your car specs if you can to. is the question how much is sitting ON the car right now, or is the question how much money have we spent doing mods over the life of our hobby? cuz many of us have gone through multiple wheels, susp, seats, lights, etc... so the two numbers will be very different in some cases. For me, I'd say about $8000 sitting on the car right now, and roughly $20,000 spent on the car in total (not inluding original sticker price) over the last 9 years. prices also vary due to different sellers and condition when you bought the mods and special deals/hook ups and what not. so two people having the exact same cars could report different numbers. Value will change if I can do it all over again, part of spending is learning process. So hopefully, the lesson I learned on this car maybe somewhat helpful if I want to modify another car in the future. But seeing how costly it is to begin with, I think I will just stick with what I have for as long as I own it. 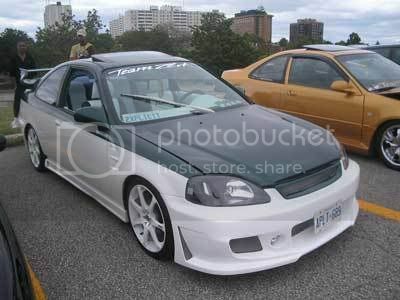 my old Civic.. witch is many different pieces, in many different places, had about.. 10-11g's in it..
and my Del Sol maybe 3g's?.. I BAUGHT MY 93 CIVIC HATCH FOR ABUUT $4,000 AND DUMPED IN ABOUT $6,000 IN PEFORMANCE PARTS SO FAR, BUT SOME ARE GITTING RIPED OUT BECAUSE THE CAR IS GITTING A FULL RESTORATION OVER THE WINTER. ILL PROBALLY BE SPENDING ABOUT $2,000 OVER THE WINTER ON THE BODY, AND CLOSE TO $5,000 ON THE ENGINE, IDE LIKE TO GET 400 WHP OUT OF THE LS TURBO SETUP IM DOING. IN TOTAL I WILL PROBALLY SPEND $13,000 - $15,000 ON MY CIVIC. I WONT GET MY MONEY BACK OUT OF IT BUT IT WILL BE WORTH IT! 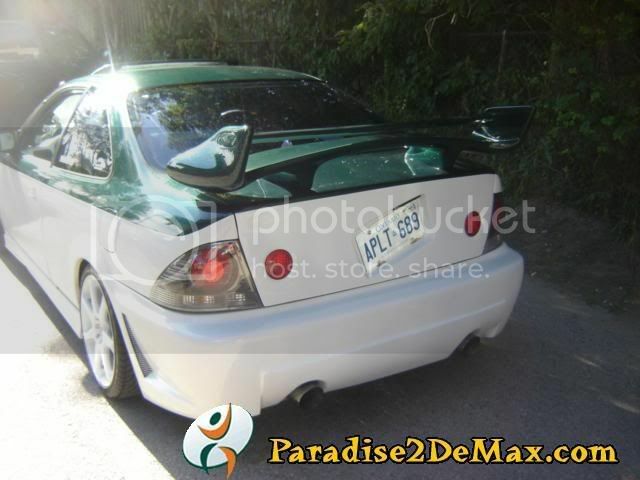 $15000 on a 15 year old car is worth how? just cuz you wanna go fast? just my opinion which shouldnt matter to you. ------->2 years of ownership - its not too bad overall as many loose that much on leased car and have nothing to show. Last edited by serg; 27-Nov-2007 at 04:44 PM. so far im doing pretty good on this car, i only wait for amazing deals i cant pass up. Sometimes i find it funny, how young guys who start with their car go crazy with the money on mods, very impulsive. And when your done with your car, you never feel like your done and by that time you either need another car or you need to keep going. you'd think you would have learned your lesson, but sadly it takes a lot of empty pockets before you do. But then again, you can't take your money to the grave with you. Well i have a 1999 Civic Si Body. I've invested over 35,000 dollars into my car greddy turbo and is currently in the process of rebuilding the motor to crank the boost... Sounds unbelievable right lol.. heres a few pics. Quick Reply: Money in da Ride ! !